A beautiful keepsake gift idea with a difference. 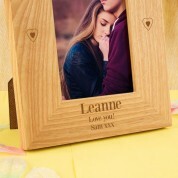 She will love to receive this oak frame on any occasion – from an anniversary to a birthday, Valentine's day or at Christmas time. 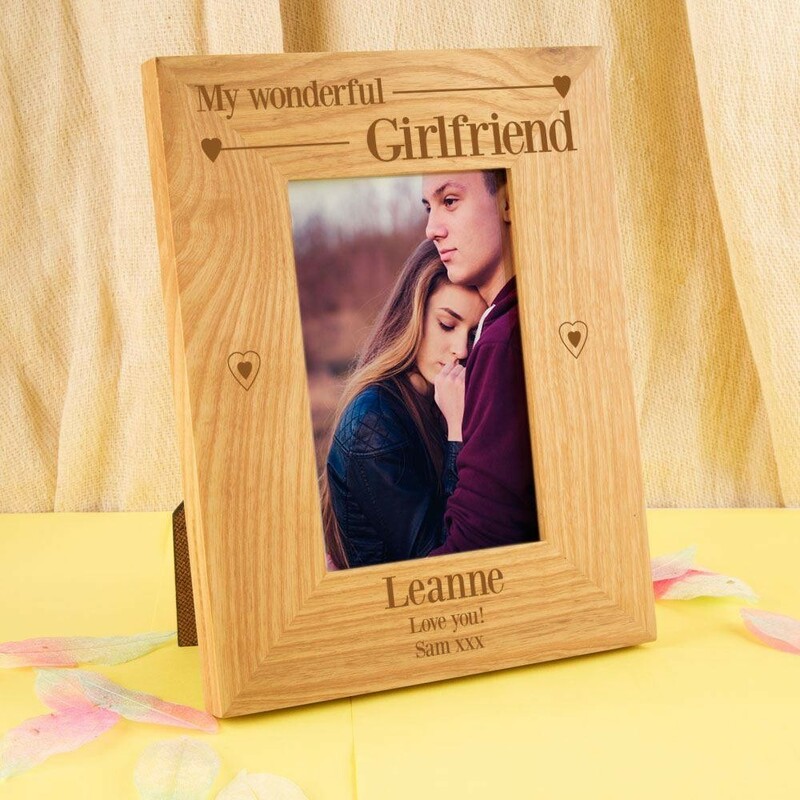 Our quality oak frame is laser engraved by us with the message: “My Wonderful Girlfriend”. It features a stylish heart design that will add a touch of class to any décor. Her name and a short personal message is included too, making it truly unique for her. The stylish portrait frame holds a 6 x 4 inch photo. Every frame is unique because of the natural grain of the wood. The laser darkens the wood providing definition that would otherwise be lacking with standard engraving. It will bring a smile to her face whenever she sees it - the perfect keepsake she can cherish for years to come.